"My sisters wake from the same nightmares. A skeletal hand, pale and white as snow, grasping out from darkness. Thousands of red-eyed crows flying over a field of dead. A bloody maw gaping open with rows of gleaming teeth the size of daggers. I see these images in my own dreams and I fear for what is coming." Of Dreams & Shadows is a co-operative board game of dark fantasy adventure. Crafted to give players a role playing experience, Of Dreams & Shadows gives you control of Champions who must save their realm from evil forces. The game features three scenarios, each with a unique storyline, end boss, and monsters to fight. Teamwork is a must as you use the tactics available to you to come out ahead. 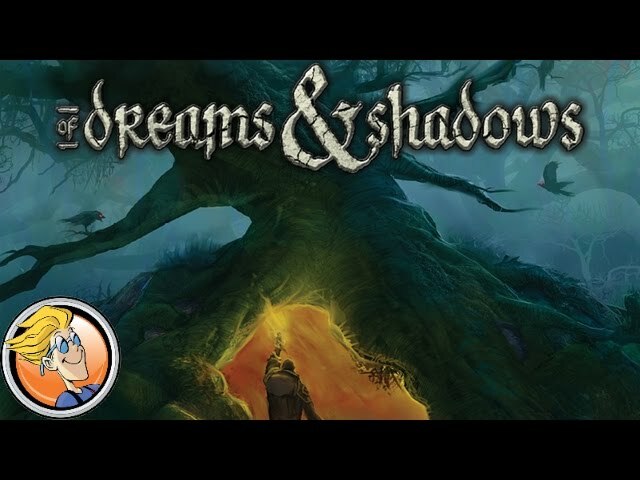 Buy Of Dreams & Shadows for a visually gorgeous game and a great co-operative fantasy experience.